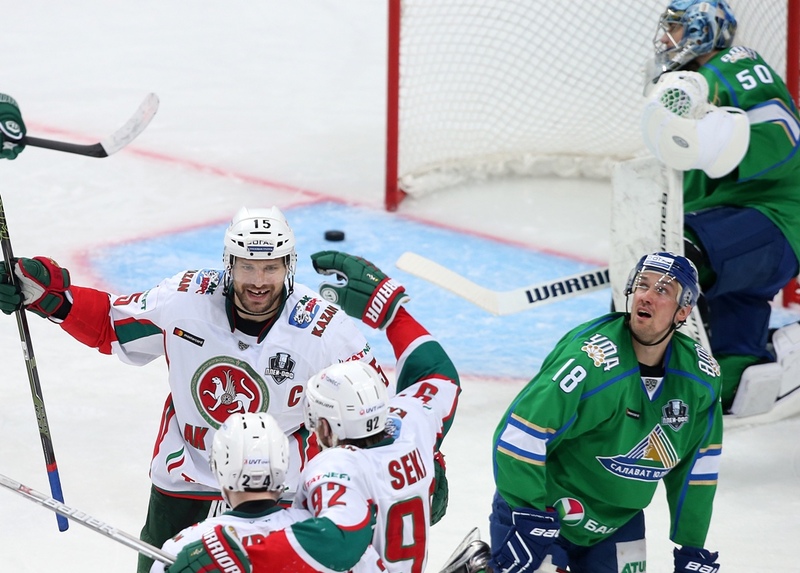 Today, the city of Kazan hosts part five of a fierce and epic contest – the “Green Derby” playoff series between local heroes Ak Bars and Salavat Yulaev of Ufa. The rivalry between these two collectives - the capitals of Tatarstan and Bashkortostan, and the two most successful teams in the Tatar lands – is legendary, and when the pair met in last season’s playoffs they served up a seven-game thriller. The contest can often upset the form books, and only last month (ironically enough, on Valentine’s Day) Salavat Yulaev snapped a nine-game losing streak with a shock victory over the Kazan men. Ak Bars leads the 2017 contest 3-1, and we have already had high-intensity drama: game-winners with 0.02 seconds on the clock, a fightback from 0-3, and only two days ago, Game 4 finished in sensational style when the Ufa men leveled the score with 40 seconds left on the clock, only for Canada’s Justin Azevedo to break Bashkir hearts with a goal seven seconds before the siren. Ak Bars captain Alexander Svitov, formerly of Tampa Bay and Columbus (NHL record: 13 goals, 24 assists, and 223 penalty minutes in 179 games) has had a foot in both camps, having spent three seasons at each club, and he took time off preparations for today’s Game 5 to share his thoughts with khl.ru. - What have been the most memorable moments in the four meetings so far? - In comparison with Game 3 in Ufa, when Ak Bars lost 3-4, the team seemed to have changed tactics for Wednesday’s Game 4. What did you do to turn your fortunes around? - One again, a single goal was the margin of victory in Game 4. What was it like when Salavat Yulaev leveled the score in the very last minute, and then you conjured up that amazing ending? - What does the Green Derby mean to you? 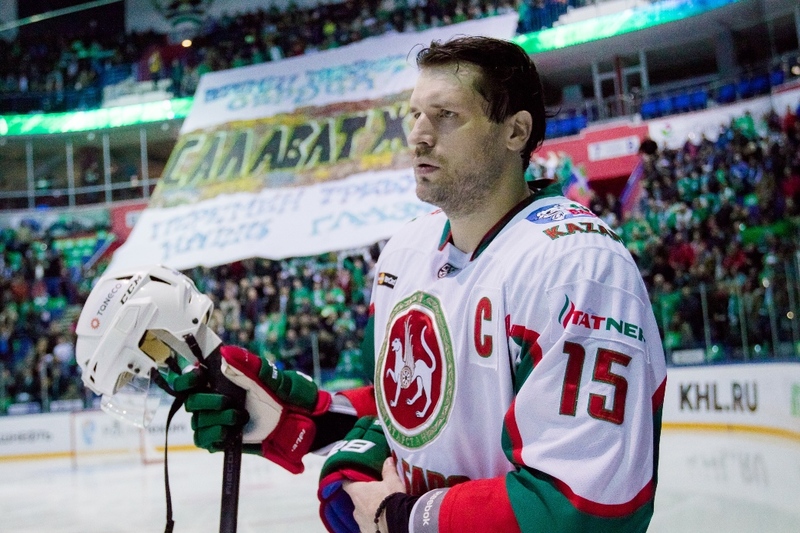 - Ak Bars is now one game, one step from a place in the Eastern Conference semi-finals. How are you going to play in Game 5 in Kazan, and what kind of hockey can we expect from you? Ak Bars Kazan – 2013 to now. Honors: Gagarin Cup winner (2011), Gagarin Cup finalist (2015). World Championship gold (2012), World Junior Championship gold (2002), World Junior Championship silver (2000), championship of Russia silver (2001, 2006).